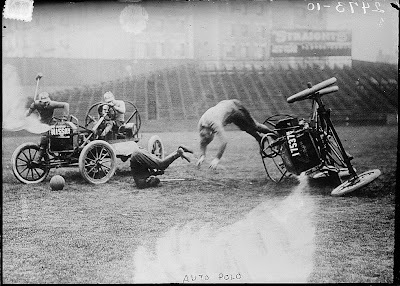 Oh, the games men play. 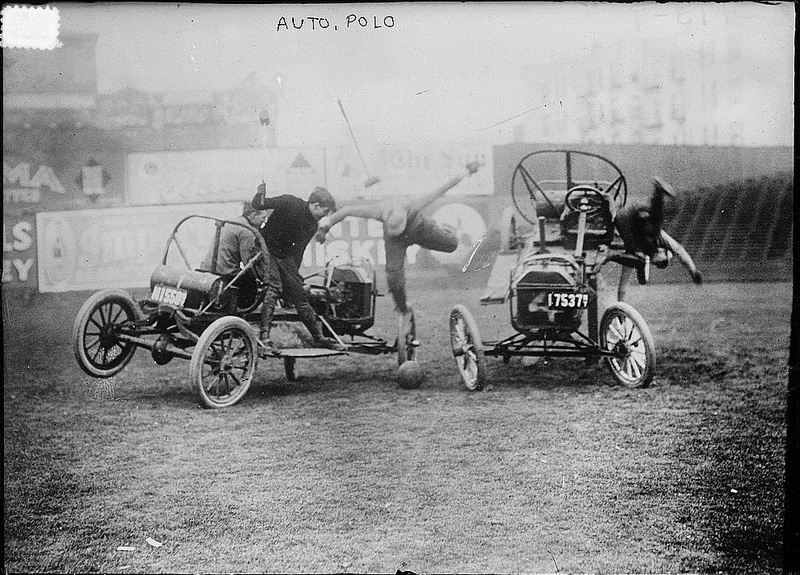 I'm just guessing, but I would imagine the point of auto polo - if not to score goals - is to stay inside (or at least on top of) one's (upright) automobile. Was there a winner? We'll never know! All photos plopped over from the Library of Congress' wonderful flickr stream. 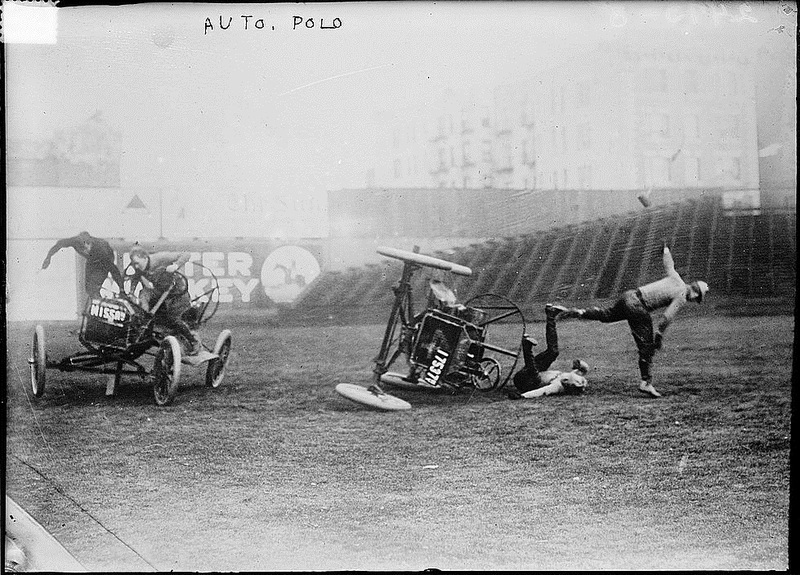 The photos are great and I really want to know more details on auto polo games, thanks. It was interesting to read this blog and as I have no idea regarding auto polo game I can’t say much, but one thing the photos are amazing.